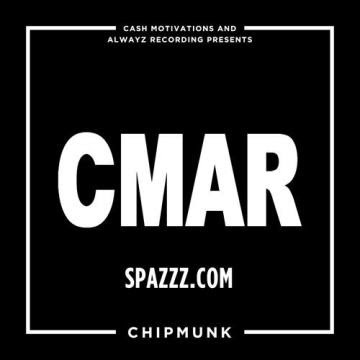 Chipmunk has dropped the much anticipated free download Spazz.com which comes at a perfect time as Chipmunk been killing everything he gets his hands on as of recent with some very hard freestyles like his F64 being dropped as well as some heavy UK Rap collaborations with the likes of Sneakbo,Sincere,Bigz,S.A.S not mentioning his work with US Mega stars such as Chris Brown and others. 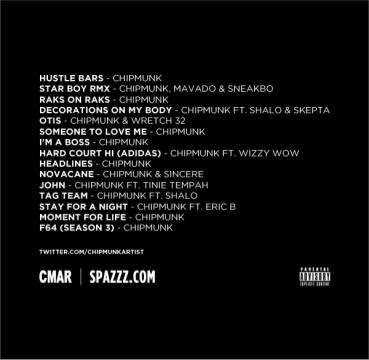 Spazzz.com features some of chipmunks finest work to date and sees him collaborating with Sneakbo and movado on Star Boy,Skepta and Shalo drop lyrics on the Tattoo anthem Decorations on my body while Wretch 32 Stops in on their Jay z and Kanye West Otis remix and Sincere on their remix of Frank Ocean's Novacane but for me its the collaboration with Tinie Tempah which is the biggest track for me as the two remake the Lil Wayne and Rick Ross track John and to an extremely impressive effect as the two trade bars over the synth led instrumental. Grime heads will have a good old moan about the lack of Grime on this mixtape and many will say once again that there's nothing but materialistic rhymes coming out of Chipmunks mouth these days but that to me is what separates him in this game,the fact that he made it so young and has managed to improve as he's gotten older instead of getting complacent. know it. Therefore that's why this piece of writing is outstdanding. Thanks! I am now not sure the place you're getting your information, however good topic. I must spend a while finding out much more or working out more. Thanks for wonderful info I was looking for this information for my mission. Thanks for finally writing about > "Free download - Chipmunk - SPAZZZ.COM - Mixtape" < Liked it! it's truly informative. I am gonna watch out for brussels. 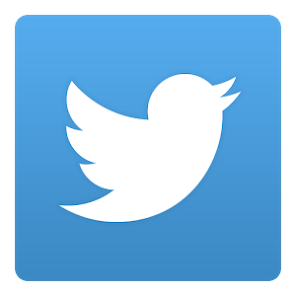 I will be grateful if you continue this in future. Lots of people will be benefited from your writing. Cheers!